The sweep in Bayonne's mayoral election by Jimmy Davis is reverberating across Hudson County and one of the biggest losers in the emerging county war may turn out to be Brian Stack and his underlings: Ravi Bhalla and Hoboken. Stack who is making a play to be HudCo man about county saw his singular efforts to become Hudson County Democratic Chair threatened as Bayonne under Mayor Davis will likely get behind Amy DeGise, daughter of the HudCo County Executive Tom DeGise. For Hoboken, the premature shot joining Stack's HudCo insurrection may be costly both for its services from HudCo and for the personal ambitions of those who signed up in the failed insurrection. The Ravi-Russo Alliance birthed of last year's mutual love reflections between Ravi Bhalla and Councilman Michael Russo saw a nice gathering muscled together of Hoboken Democratic Committee members for the wannabe boss, State Senator and Union City Mayor Brian Stack but the output is clearly faltering. Brian Stack himself is scrambling in Hoboken to find more local Democratic Committee votes to become the HudCo Democratic Party Chair but the Ravi-Russo game plan has created opposite of the intended effect. Votes among the Hoboken Democratic Committee have splintered and the theoretical target of 80 (less some departures from town) is nowhere near the objective Stack had hoped to pocket. Some insiders say Stack was warned Ravi Bhalla's political power play would come up short but Stack decided he had to move forward with his HudCo civil strife plan. Many political insiders are concluding Ravi Bhalla by joining the Hudco civil war with Jersey City's mayor, Steve Fulop, put Hoboken in a politically (and financially) precarious position. 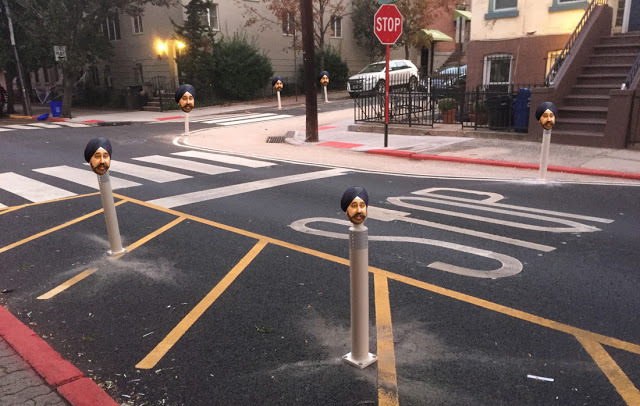 Don't count your bollards before they hatch? That may be the message for the insurrectionists in the HudCo civil war. Talking Ed Note: To add to Hoboken's woes, Assemblywoman Annette Chaparro clearly reacted to the MSV column publicly announcing her interest in serving for another two-year term. The Assembly seat closely aligned under State Senator Brian Stack is up for election next year in 2019. Chaparro is clearly letting everyone know she has no intentions of laying down for anyone including Ravi Bhalla who is already looking for an exit ramp out of Hoboken not four months into the job. Maybe he didn't really want it. More than a few Hoboken politicos stated that leading into the mayor's race last year but the Ravi Robots said it wasn't true and added, it doesn't matter. Does anything? Such is the foamy splintered schizophrenia among those Ravibots. Is Ravi Bhalla going to try and bump off yet another woman in his quest for power?